Sunderland District Scouts - Information on Scouting in the Sunderland area catalogue. Unfortunately, we are unable to accept payment via any cards at the present time. We apologies for any inconvenience this may cause. We do accept cash and cheque payments. 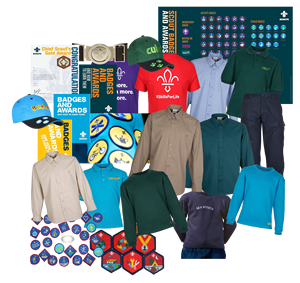 Please click on the buttons below for the uniform requirements of each section, and details of where the badges should be placed on the uniform.